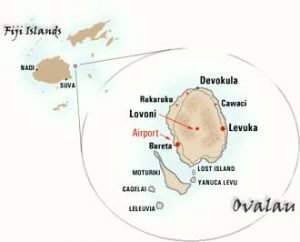 Levuka is located on Ovalau Island, east of Fiji’s mainland Viti Levu. Ovalau is a lush volcanic island separated by a 20 km wide channel from Fiji’s Mainland. Ovalau is the sixth largest island in Fiji and the main island of the Lomaiviti Province. To get to Levuka you have to travel via Suva, Fiji’s Capital. From here local transport to Levuka departs. Travel options are either by road or by a short 30-minute flight Nadi-Suva-Levuka. When traveling by road you best take one of the regular Express buses from Nadi to Suva. Trips are very scenic along the Coral Coast and take about 3.5 hours and the cost is 16 Fiji Dollars. Getting to Levuka from Suva is best by a daily bus and ferry service run by Patterson Brothers Shipping Ltd. Bus departs Suva Main bus Station at 1 PM (find Paterson Bus opposite the Flea Market). 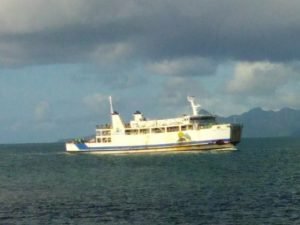 The bus takes about 2 hours to the ferry at Natovi Landing, then onto the ferry for a 60 min crossing, then another 60 min halfway around the island to Levuka. 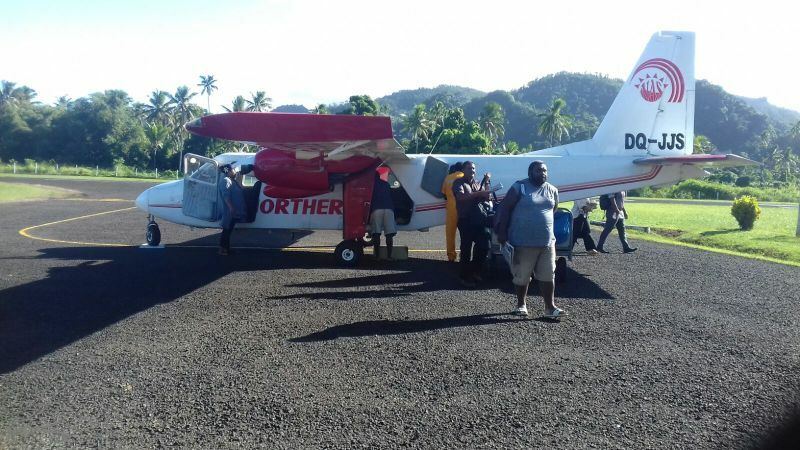 There are daily flights in and out of Ovalau, which can connect with the Nadi-Suva flights. 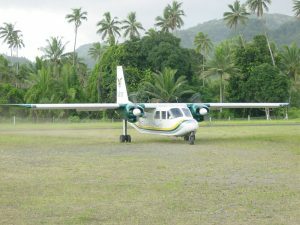 The airline operates Twin-Otters or similar aircraft that allow spectacular island views during the flight.